However, a rather temporary element can be added to this idiosyncratic issue. In the opinion of Romaric Godin, the lenders – who are nothing more than “big liars” – didn’t hesitate to put Greece in a “social, economic and political burden” instead of confessing that they had made “impossible promises” by telling that the money lent to Greece by the German tax-payers would be paid back while in fact they knew it would be impossible. Today, Angela Merkel has chosen a headlong rush and is hiding her responsibility “behind a demonization of Greece and a moralistic discourse.” (Godin) That’s why Germany has pressured the IMF to be more severe with Greece and tighten Greece in a succession of bailouts that will not save the country. As a politician and Prime Minister, Tsipras should have known all those things and, if he didn’t, that means he has been incompetent, and the incompetence is, as many of us will have noted, an infallible indicator of pushiness, a terrible moral disease so hard to fight as much on the left as on the right wing of the political spectrum. Today, for want of having learnt this political truth in the work of this eminent Athenian, he will at least have felt its blast, in the foam of the days, or in the turbulence of the circumstances. He may pay the price for this delayed learning – some may doubt of it – with a depreciation of his political image. 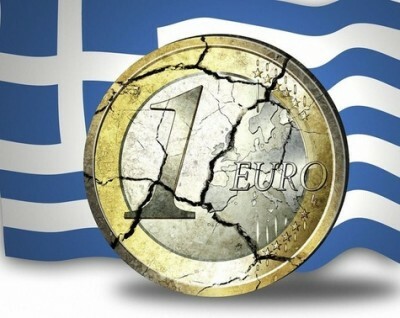 As far as they are concerned, the Greeks will pay it more painfully, in a state of poverty exacerbated by the collaboration of a PM elected six months ago on the promise of relieving their pain.